On February 20, 2016, Samantha was travelling as front seat passenger in her boyfriend’s vehicle when it was cut off by a SUV in Bronx, New York. As a result, Samantha’s vehicle lost control and struck a utility pole causing an electrical power outage to four private homes. Samantha was transported by ambulance to Jacobi Medical Center in Bronx, New York where she received emergency medical treatment. Tragically, her boyfriend was rendered unconscious and died after being on life support for several weeks. Subsequently, Samantha underwent pain management and physical therapy for her lower back, neck, and shoulder pain. Due to persistent pain to her right shoulder and lower back, Samantha underwent surgery to her right shoulder and received a lumbar epidural injection for her lower back. The night of the accident, a family friend told Samantha to contact Adam Handler describing him as “the only lawyer you should ever work with”. As Samantha mentioned, we not only took care of the legal aspects of her case, but we also wanted to show our concern and support by visiting her and her boyfriend (driver) in the hospital. 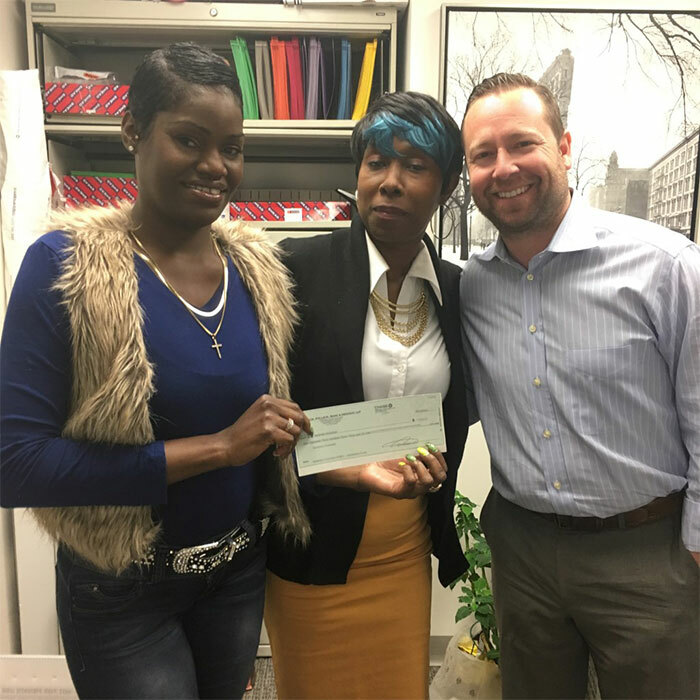 With The Case Handler team by her side, the defendant’s insurance company agreed to pay for the maximum policy limit of $50,000! Thank you for sharing your story Samantha and we are always here for you no matter what you need. We wish you the best in life and may your boyfriend rest in peace. Car accidents are rarely black and white. When another vehicle crashes into your vehicle, you potentially have someone to blame for your injuries. Like Samantha, what if the accident involved a pole or highway divider? The Case Handler team is experienced in Bronx single car accidents and can help guide you through the process “from start to finish.” Contact Adam Handler’s office at Pollack, Pollack, Isaac & DeCicco, LLP for a FREE consultation at 929-223-4195.